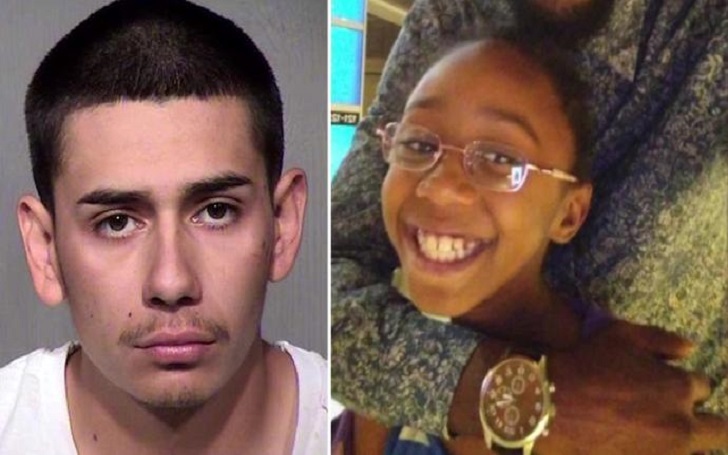 Suspect Joshua Gonzalez, 20, who killed a 10-year-old girl, Summerbell Brown, in road rage shooting in Phoenix, Arizona, was arrested and charged with murder, authorities have confirmed. The Phoenix Police Department's Sgt. Vince Lewis confirmed at a press conference on Friday, April 5, Gonzalez had been booked. Lewis said he was charged with first-degree murder in the killing of the 10-year-old. Police said a community tipster led investigators to find Gonzalez, whom they described of having an "extensive criminal history riddled with violence." Phoenix police responded to calls of a shooting at 3800 W. Moreland St. on Wednesday, April 3, at 5:45 p.m. When the police arrived at the shooting scene, they found the Brown family inside a vehicle. Two of the four passengers were suffering from gunshot wounds. Summerbell was shot along with her father Dharquintium Brown. The dad said that the shooting occurred after he got out of the car to confront the driver who was following their car. Footage obtained from a surveillance camera showed a white pickup closely following the family car at approx. 5:45 p.m.
Dharquintium was initially reported to be critically injured, however, he later said that he wasn't badly wounded. The family helped investigators to make a composite sketch of the suspect. Is Rowan Atkinson aka Mr. Bean Dead? OR It's Just a Hoax?